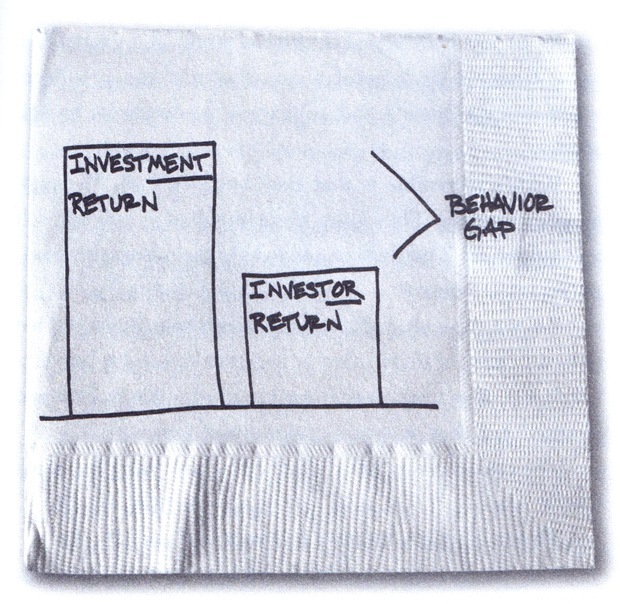 Investments, trading, retirement planning, high-level finance and dealings: complicated, mathematically intense stuff best left to the pros, right? Richards, who said he has no background in art, started sketching out concepts on whiteboards for clients while he was at brokerage firm Merrill Lynch. He started blogging his sketches after he was asked to put them down on paper so a client could share them with his spouse. “Often these ideas are so complex, but maybe we can reduce them to a single drawing,” he said of his thought process. 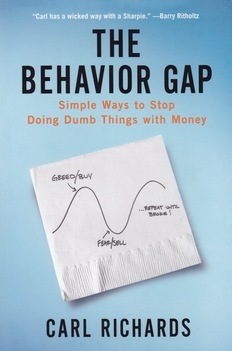 In “The Behavior Gap,” Richards explores the book’s tag line — “simple ways to stop doing dumb things with money” — in easy-to-grasp writing, a bit of humor and, of course, plenty of sketches. One of the biggest lessons he hopes readers will walk away with? Learning there’s a disconnect between what we should be doing and what we actually do with our money. “I’ve asked the question, ‘What’s important to you about money?’ hundreds of times. The answer is almost always ‘freedom’ or ‘security.’ So we say that, but then we go and do things that are not in line with those values,” Richards said. Another problem Richards sees repeatedly is a tuning-out to one’s personal financial reality and not knowing the right questions to ask. 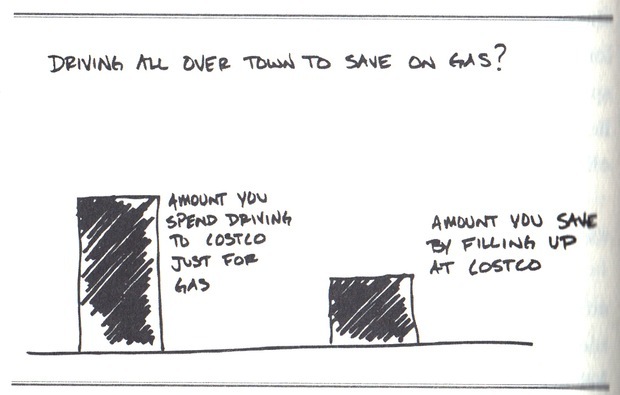 So we wonder: What are your personal finance questions? Submit them below and Paul Solman will pose the best to Richards in an upcoming post. This entry is cross-posted on the Rundown– NewsHour’s blog of news and insight. Follow Paul on Twitter.